The number of Indian tourists to Bali increased 55 percent to 222,516 in the first 10 months of this year from 143,464 in the same period last year. "Most of them flew in to Bali directly from India with only 1,400 as passengers of tourist boats," head of the provincial office of the Central Bureau of Statistics (BPS) I Gede Nyoman Subadri said. He said Indian tourists are the fourth largest in number visiting Bali after China, Australia and Japan or 4.43 percent of the total number of 5.02 million foreign tourists visiting Bali in the first 10 months of the year. 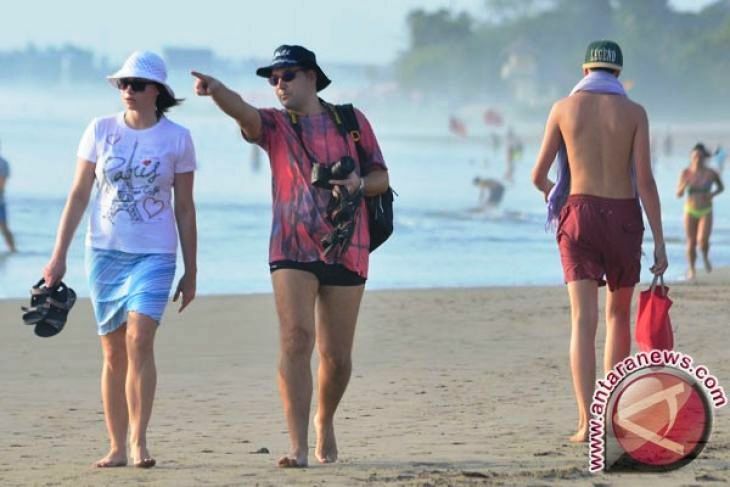 The number of foreign tourists visiting Bali rose 23.2 percent from 4.07 million in the same period last year. I Gede Nyoman Subadri said the number of tourists from 8 of 10 main countries of origin rose with a decline recorded only from Australia and Malaysia. India recorded the second highest increase after China from which the number rose 57.06 percent, followed by South Korea 26.77 percent, Germany 19.18 percent, the United States 18.39 percent, Britain 15.39 percent, Japan 12.27 percent and France 10.09 percent. I Gede Nyoman Subadri attributed the increase in number of tourists from India to direct flights between Indoensia especially Bali and India. AirAsia Indonesia has opened new route between Denpasar, Bali and Calcutta, India early October 2017 to meet growing number of Indian tourists to Bali. Earlier or in May, 2017, the airline serves its first flight between Bali and Bombay of India at the same time with the opening of its new route between Bali and Tokyo. Meanwhile, the Badung district administration is set to chalk up 7 million foreign holiday makers in the the largest of the suburban regions of Greater Denpasar. The regency of Badung covers Bali`s most heavy tourist regions, including Kuta, Legian, Seminyak, Jimbaran, Nusa Dua, Canggu, Uluwatu, Badung, and Mengwi. "I am optimistic the target could be reached in 2018 as until mid December this year the number of foreign visitors already reached 5.8 million," head of the Badung Tourism Office I Made Badra said in Mangupura on Thursday. To ensure that the target could be reached the district administration would organize a tourism promotion visit to the United States in Jan. 22-28 next year holding an exhibition in the city of New York and meetings with local tourism organizers. In February a similar visit is planned to Australia.